Rudolph Hauser: Not one of your more successful murders, Templar. Simon Templar, aka The Saint: I may be able to show you a better one... soon. 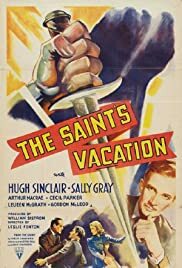 Hugh Sinclair is The Saint, Simon Templar, in "The Saint's Vacation," a 1941 film also starring Sally Gray, Cecil Parker and Arthur Macrae. Besides Roger Moore and Ian Ogilvy on television, the Saint has been played by Sinclair, Louis Hayward and George Sanders (that I've seen). I liked Hayward's smoothness, Sanders' turn of a phrase, and I like Sinclair's cool, casual, take it as it comes attitude. He doesn't have the dry wit of Sanders' Simon, but like Saints before him, nothing fazes him either. He also doesn't whistle the familiar "Saint" tune, which I kind of missed. Now the Saint is veddy veddy British as the productions were moved over to the UK, and Simon is working with a friend (Arthur Macrae) who's afraid of his shadow. 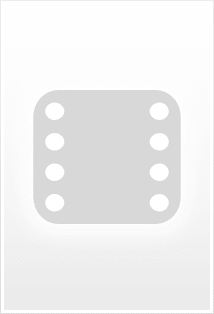 This time the plot concerns a highly sought after music box - where have we heard that before? And, as usual, people will kill to get their hands on it. Sally Gray is pretty and energetic as a reporter who accompanies Simon as she tries to get a good story. Evidently she doesn't realize that if you like Sherlock Holmes and The Lady Vanishes, this variation on a theme is old stuff. Very pleasant film.